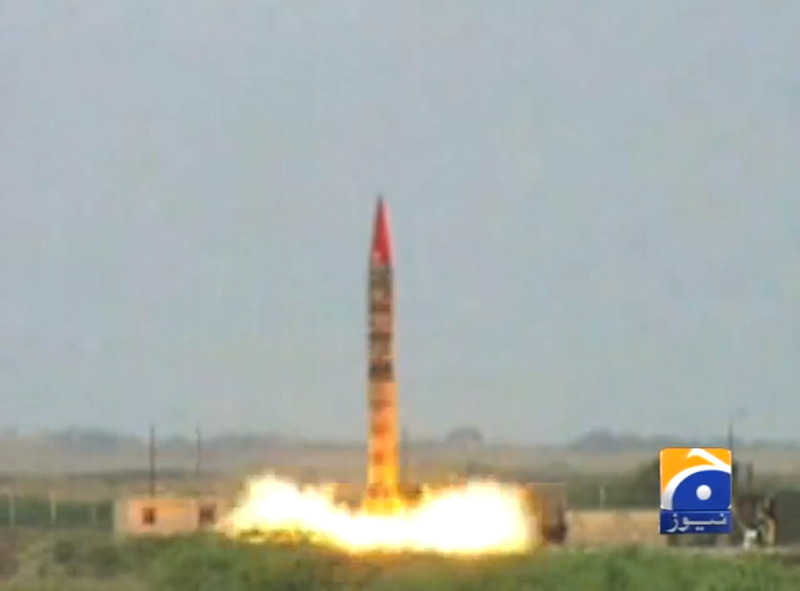 Pakistan successfully tested an intermediate-range ballistic missile today with an impact point in the Persian Gulf. The newly tested version of the Shaheen-II ballistic missile, which is roughly equivalent to the US’s Pershing II missiles, can carry either conventional or nuclear warheads according to ISPR, the Pakistani army’s public relations arm. The announcement seems to confirm expert analysis that the country is aiming to build long-range delivery systems for tactical nuclear weapons — smaller warheads built for use in a battlefield or active combat scenario, rather than for strikes on cities or infrastructure. Addressing scientists, engineers, and military officers viewing the test site, lieutenant general Zubair Mahmood Hayat still reiterated Pakistan’s stance that the goal of its strides in ballistic capability is deterrence — presumably against any rash military action by India, with which Pakistan has a number of outstanding territorial and security-related disputes. Pakistani news media put the range of the Shaheen-II at 1,500 kilometers, though the Federation of American Scientists estimates it may be able to travel 2,000 kilometers or more depending on its payload. One Indian television news program included a map showing the several India’s cities that fall within the missile’s now-proven range. The test is the latest development in a long-running arms race between Pakistan and its neighbour. In 1999 Pakistan tested a shorter-ranged Shaheen missile that was also capable of carrying nuclear weapons. After that test, Pakistan’s officials cited a concern for preserving “strategic balance in south Asia” — an objective that has India, Pakistan’s larger, more populous, more powerful, and also nuclear-armed rival, squarely in mind. The missile program has established that strategic balance with India, Arif Rafiq, a researcher at the Middle East Institute, told Business Insider in September.